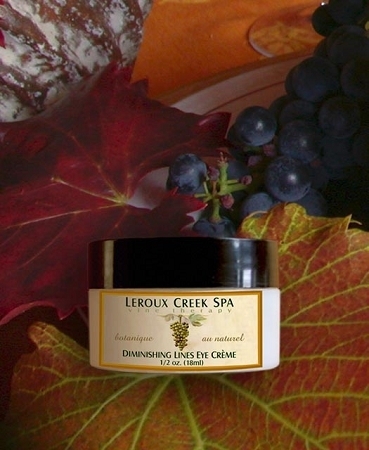 The antioxidant power of grape seed oil works to reduce the overall appearance of fine lines and wrinkles around the eyes and mouth. Daily use of this skin firming crème effectively revives tired looking skin to restore the look of youth. Ingredients: Grape Seed Oil, Distilled Water, Jojoba Oil, Green Tea, Beeswax, Glycerol Monosterate, Vegetable E-Wax, Boric Acid, Potassium Corbate, Vit. E (T-50), Carrot Seed, Essential Oils.